EBA’s new blood range implements a unique and exclusive formulation delivering previously unseen quality, performance and attributes. Waterproof, fast drying and long lasting. A great kit addition. A professional set of eco-friendly makeup brushes built to handle strong products and create stunning special effects looks. We love the pouch that comes with it too! This palette comes with 18 intense shades and allows you to detail your characters without switching out your makeup. Achieve realistic visual effects including black eyes, bruises, abrasions and more! Published by internationally acclaimed make-up FX designer and teacher Neill Gorton, this magazine includes articles, in-depth interviews, technical information and detailed tutorials. This is an amazing alcohol ink palette by Australian brand Bluebird, perfect for dirt and blood. All of their palettes have great coverage, rich pigment and spectacular staying power. A great set of handmade finishing tools for sculptors and monster makers. Kens Tools also offers many other styles of tools in an array of bright colours. For prosthetic junkies, this is a single platinum silicone mould with 10 different cut wounds. A great way to cast a quick wound for an application. A standby bag perfect for any on-set artist. These bags are a versatile storage carrying solution and can be used for many purposes. 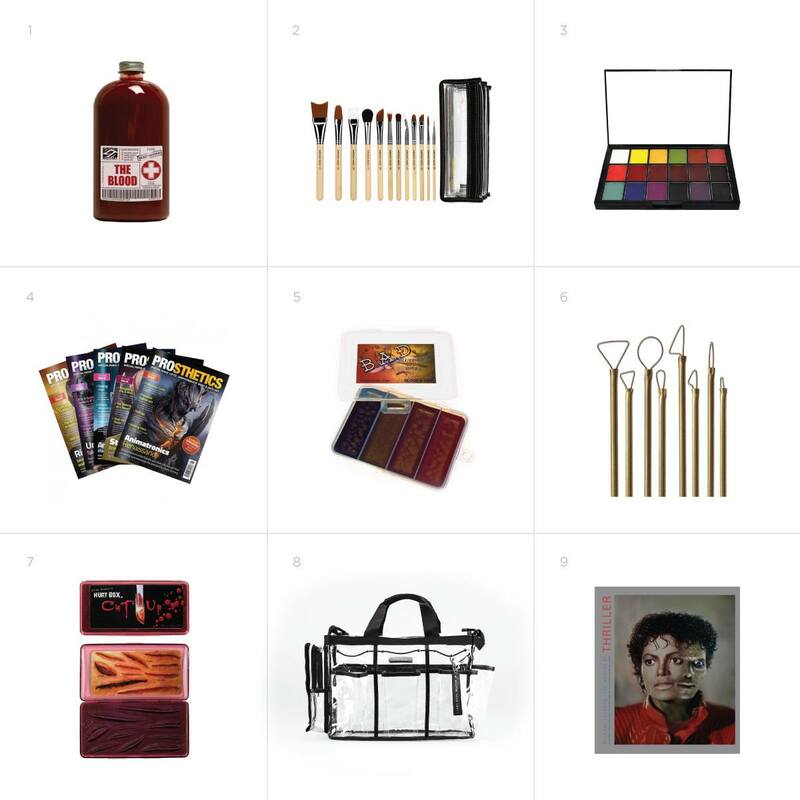 A coffee table book packed full of unseen pictures and documentation, especially makeup, during the making of Thriller. This is an exquisite tribute to the music video that inspired so many monster makers.